If you’re in Ann Arbor this week, be sure to make sure you’re here for Thursday night. 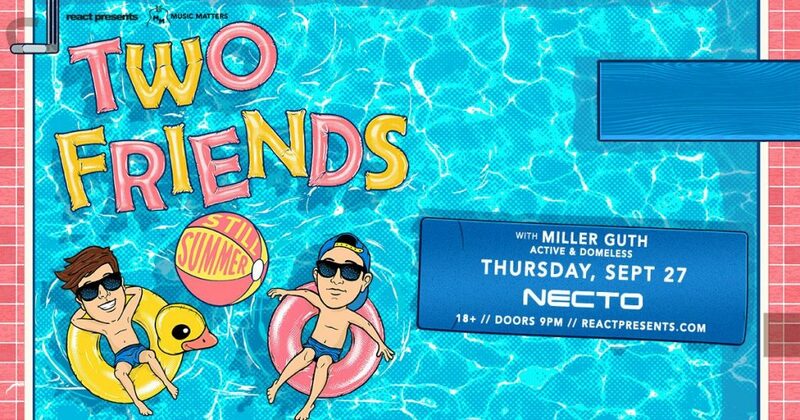 Two Friends are coming to Necto on 9/27 and are going to tear up the club again! These guys always put on a crazy show and throw down some great tunes. Two Friends also just released their unofficial remix of the Red Hot Chili Peppers “Other Side”. The remix stays true to the original while still keeping Two Friend’s future bass style present. Take a listen below, and get your tickets to Thursday night right here!